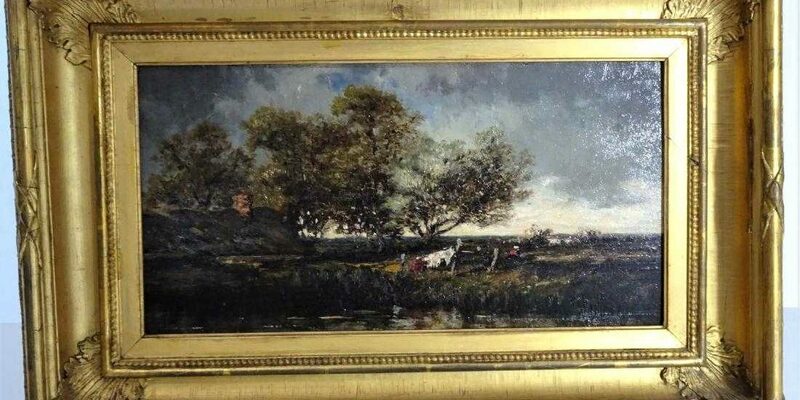 Leon-Victor Dupre (1816 – 1879), Oil / Board, Gilt framed. French. Barbizon landscape.